Udforsk den robuste natur af Islands sydlige kyst på denne heldagstur fra Reykjavik. 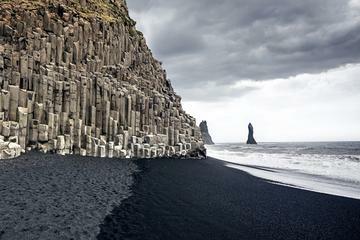 Stopperne omfatter Reynisfjara Strand, Skógafoss Vandfald, Sólaheimasandur Glacier og andre billedværdige steder. Rundturstransport fra Reykjavik hoteller inkluderet. Went on the South Coast Tour. “Queen B” was the guide. Wonderful guide and host. Very accomedating the the group’s desires as a whole and very friendly. Happily and passionately answered everyone’s questions by keeping people’s attention with a non-scripted “saga” of Iceland. I did the trip solo, and had a great time and got to meet new people. Thank you. Great tour along the South Coast! Our guide was extremely knowledgable. Would definitely recommend.